This post was sponsored by Drury Hotels. All opinions are 100% mine. Please see my advertising and disclosure policy for more information in the tab above. 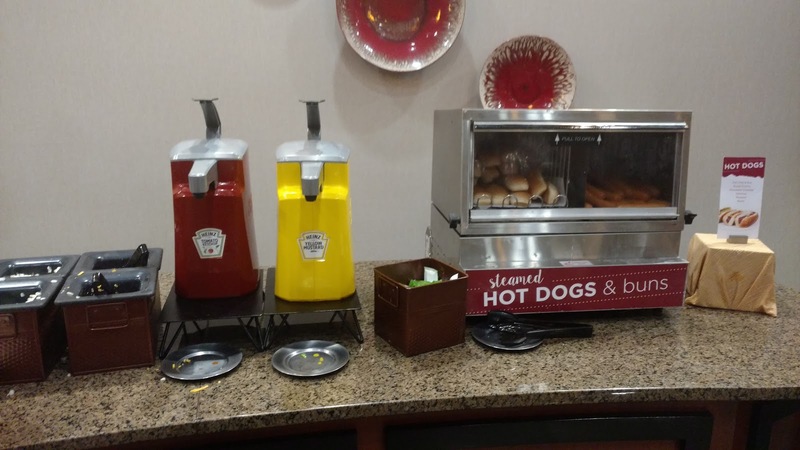 I'm back with another post in my "Midwest Family Road Trips on a Budget" series. In case you missed my last travel post I started this series to share with you how we have a great time on these road trips without breaking the bank. Last time we went to St. Louis and you can read all about that here. This time we traveled to Indianapolis, Indiana. Aka: Indy. Indy is near and dear to my heart as we used to live in Indiana and went to Indy all the time. This was right after we got married in our pre-kiddo days. I have so many great memories of fun times in Indy as a young married couple. It's been so much fun to go back and revisit as a family. So what do you do in Indy without busting your budget? First, find a great hotel. We love The Drury Inn because they are reasonably priced, they're clean, and they have lots of freebies. The Drury Plaza Hotel in Caramel, Indiana. Here are my top picks of budget friendly activities to do with your family on a quick trip to Indy. The Indy Children's Museum is awesome! It's the largest children's museum in the world! It's also one of the best children's museums we've ever been to. It isn't super-duper cheap but it's worth it if you have young kids. They have a really great dinosaur exhibit that is a must see. The dinosaur fossils are real! They even have a "teenage" T-Rex named Bucky. (Apparently, he wasn't full grown when he died hence the teenage label). The dome ceiling and lighting effects make it seem more realistic and my dino loving boy thought it was super cool. They have many indoor exhibits and some outdoor exhibits too. They are opening an awesome looking Sports Legends Experience. It has 12 outside sports experiences and 3 indoor exhibits, mixing physical fitness with sports history. Doesn't this look cool?? It's gigantic! Museum tickets can be sort of expensive depending on your budget and the size of your family. But, there are ways to get in cheaper if you plan accordingly. Price range varies greatly depending on the time of year. Weekdays are cheaper than weekends and summer months are more expensive than winter months. In 2018 they have three free admission days. One was President's Day in February, next is September 23, 2018 and finally Christmas Eve, Dec. 24, 2018. (That would be an interesting way to spend Christmas Eve ;) They also are offering $5 First Thursdays every month with $5 admission for all on the first Thursday of the month between 4-8pm. It is cheaper to buy your tickets online in advance than at the door. Their online calendar lists the price for every day of the year so you can plan ahead and save money. The Sports Experience is included with general admission but also has cheaper options available in the evenings on select days so if you only want to do the sports experience you can save by going in the evening. Photo courtesy Derek Jensen. 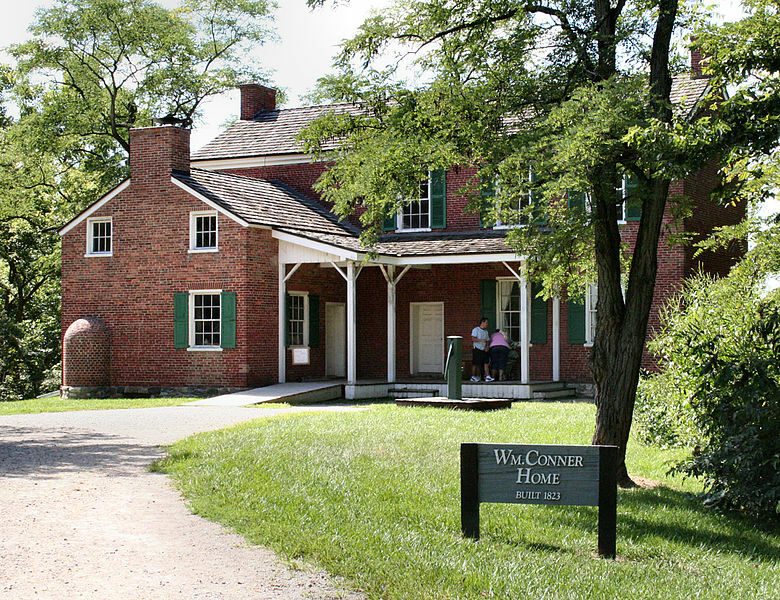 The William Conner home was one of the first all brick homes in Indiana. Conner Prairie is an outdoor museum that feels like a walk back in time to life on the prairie. The prairie is filled with actors dressed up in period clothing working on the prairie. They are doing jobs from the early 1800's. There's a blacksmith, candle maker, baker, seamstress, pottery maker, even a farmer taking care of his livestock (some can be pet) and more. They talk about their job and their "life" on the prairie and they will interact with you, answering questions and having a conversation without breaking character. There is a ton to do and you can definitely spend a whole day. 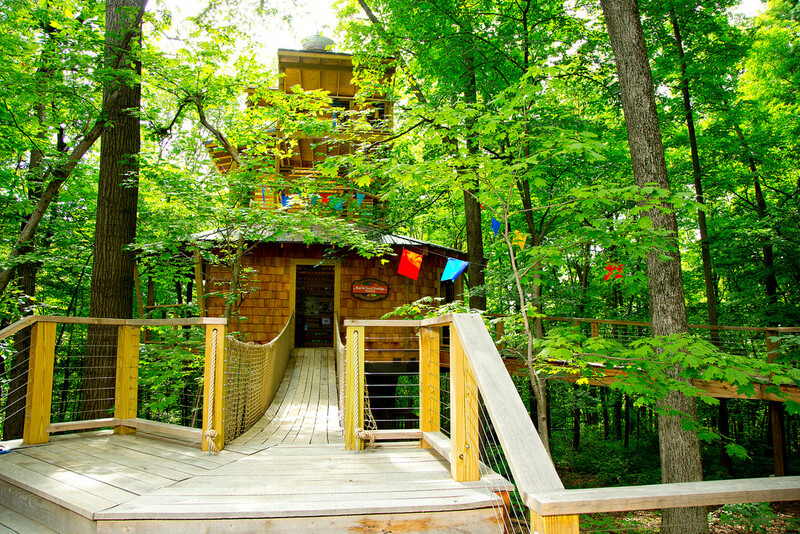 Kids will love the Tree Outpost, a four story tree house with great views of the beautiful property. Kids 8 and under will love the Discovery Station and Craft Corner which has crafts (obviously) and some small equipment they can climb on. The whole family can even ride in a tethered hot air balloon. This gives the best views of the property. There is an additional cost for balloon tickets and weather has to be ideal or it doesn't fly, if this is why you're going, call ahead. Conner Prairie is very reasonably priced, currently $8 for adults, kids 12 and under free! Seniors 65 and over are free as well. They offer a great military discount, active, free general admission for active duty, retired and veterans plus 50% off up to five immediate family members. with military ID. 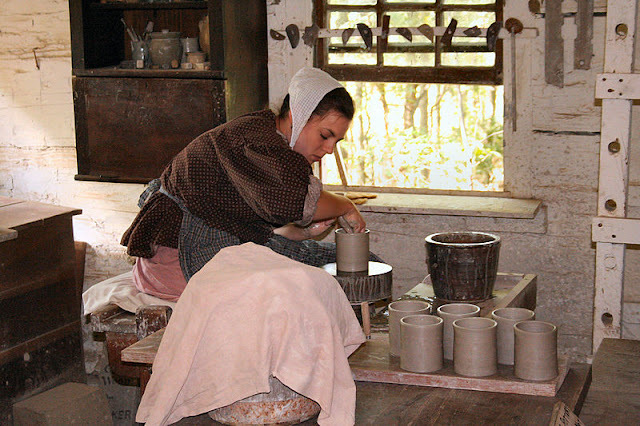 They are open all year but check their website as hours are limited during the winter months. Check their website for free admission days as well. If your family likes to go to the zoo the Indianapolis Zoo is one to see! It is open all year and prices vary depending on when you go, check their website for daily prices and buy your tickets in advance to save. I love the White River Gardens, a beautiful botanical garden and conservatory next to the zoo. It is better to go here in the summer because the outdoor gardens are fantastic. 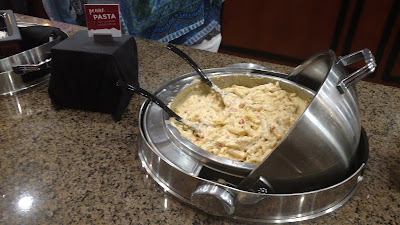 When we go to Indy we love to stay that The Drury Plaza Hotel in Carmel, a nice suburb just northeast of the city. This Drury is fairly new. It's very conveniently located, modern and clean. Plus, they have tons of great freebies for families traveling on a budget. This is our second time at this Drury Plaza and it did not disappoint. We love to sit in this cozy spot by the fireplace and have our free drinks and snacks during 5:30 Kickback Snacks! First, free Wifi . Shouldn't that just be a standard these days?! But, it's not. Thankfully wifi is free at The Drury Plaza. Next, Drurys have free breakfast, free 5:30 kickback snacks and drinks (this is like a free dinner!) as well as free soft drinks and popcorn. A family can easily save a ton of money by eating the hotel breakfast, then eating 5:30 Kickback Snacks for dinner. And I'm not talking about taking advantage of the hotel and greedily sneaking extra food so you can make a meal out of it. They literally have a buffet set up with lots of food available for their guests and unless you are a really big eater you could definitely make a meal out of it. Here's a shot of the eating area, plenty of room. They also offer their guests three adult beverages (per adult, per day) during this time. It's good stuff too! It was crowded with lots of kids as there was a soccer tournament going on that weekend. Despite being extremely busy the bartenders were super friendly and polite. Top shelf liquor and good wine. Drinking wine fireside by the bar before dinner. We were celebrating my son's birthday that night so we had some popcorn and a drink here before walking over to the the awesome steakhouse, Firebird, which shares a parking lot with the Drury Plaza. At Firebird Steakhouse, their smiles say "Delicious!" They love this place! We had a standard double room and ended up on the top floor. My kids were super impressed with the view. We ended up switching rooms because we thought my son was having an allergic reaction to something in our room. He has lots of allergies and asthma so sometimes random things will bother him that we can't pinpoint. The hotel was PACKED so the front desk was very busy and there were few available rooms. The girls at the front desk were very apologetic even though it wasn't their fault, they were super sweet and helpful and got us moved right away. My son ended up coming down with a cold the next day so what we thought were allergies were likely just cold symptoms. Either way, the hotel staff helped us quickly and were so nice about it. I have been to big name hotels where if you ask to switch rooms they give you the stink eye or won't even allow it if you've sat on the bed or used the bathroom. No trouble at all at the Drury. A clean room and comfy beds. My kids were once again completely impressed with The Drury's indoor/outdoor pool. It was February and I froze my buns off while stepping outside without a coat on to take this pic, they said they could feel the air was cold on their heads but they were really warm. So much fun! The Drury Plaza Hotel in Caramel, Indiana is only about 15-20 minutes to downtown Indy. It's also in a really nice suburb that's close to some great restaurants and shopping. I already mentioned the delicious steakhouse, Firebird, that is right in the parking lot. If you miss the free hotel breakfast head just across the intersection to Another Broken Egg. Delicious menu with many unique options. The Drury Plaza Hotel in Caramel, Indiana. Looks dark out that morning because it was getting ready to snow! If you like to shop like me, check out The Fashion Mall that has a huge flagship Restoration Hardware store in it. Not exactly budget friendly but fun to look at. There is a big HomeGoods/TJ Maxx joint store on Allisonville Road less than ten minutes away. This HomeGoods always has tons of good stuff. Also, the new IKEA in Fishers, out towards Conner Prairie. We had a great weekend trip to Indianapolis. There is so much more to do in Indy but it would take me several blog posts to go over all of my favorite things so this is just a start. What do you like to do in Indy? A special thanks to Drury Hotels for sponsoring this post. Again, all opinions are honest and 100% mine. I do not endorse any place or product that I wouldn't use myself. Glad you enjoyed our beautiful city Kate! These are all favorites of ours!